Some fundamental difficulties with the description of the flow near moving contact lines will be reviewed briefly first in this seminar, along with some key models that have been proposed to circumvent these (including the use of a slip condition). Numerical simulations (VOF, level set, or otherwise) using any of these models normally still requires resolving the flow on a large range of length scales, potentially down to the limit of a continuum description, which is computationally prohibitive. Nevertheless, results obtained with such an approach will be presented for the simulation of the coalescence of two droplets on a substrate, wherein a new self-similar regime is identified, which are found to agree well with a theoretical analysis. In the second part of this seminar, single droplet spreading is considered further. Some interesting features of rapid spreading will be presented, including pinch-off of a satellite droplet, and a cascade of pinch-off events. A detailed analysis is available for slow spreading, based on a slip model. The corresponding description of rapid spreading must account for inertial effects that can upset the structure of the flow around the contact line. Progress on this has been made recently, by using numerical simulations to test and modify an analytical viscous/inertial theory of Cox. A large range of length scales is simulated by using adaptive mesh refinement and assuming axisymmetry. Furthermore, it has been possible to formulate a practical model that does not require extreme numerical resolutions, by using this modified theory. Further challenges include the extension of these approaches to 3D, and accounting for further complexities. Peter Spelt is a Professor in Mechanical Engineering at Université de Lyon 1, and in the fluid mechanics laboratory LMFA. Prior to his appointment at Lyon (2010) he was a Senior Lecturer at Imperial College London (Chemical Engineering), with an earlier appointment at the University of Nottingham (Mathematics). 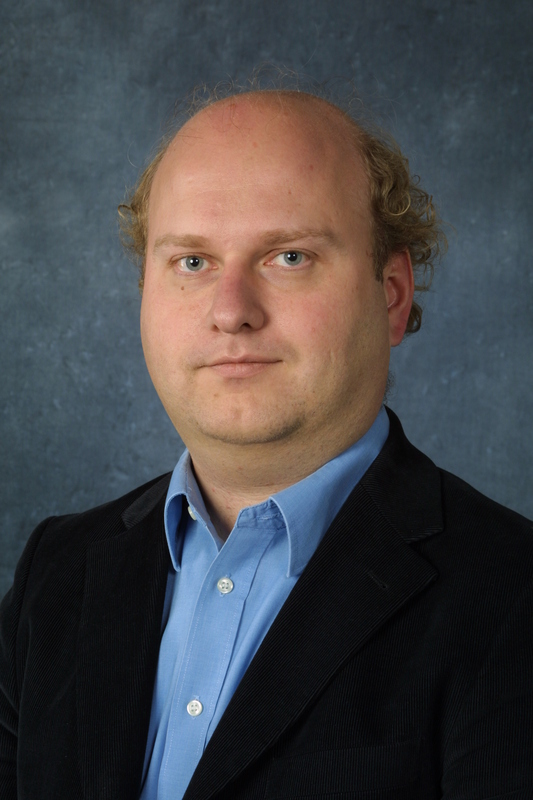 He has extensive experience in the numerical simulation of flows with moving contact lines, as reviewed in his recent article in the Annual Review of Fluid Mechanics (2014) (co-authored with Y. Sui & H. Ding). His other current activities include instability in separated two-layer flows, notably, the route towards droplet entrainment; scalar transport in dispersed two-phase flows; instabilities in wet foams; and collapsing bubbles near surfaces with applications in cavitation. He has previously mostly worked on the motion of bubbles in isotropic turbulence, the continuum modelling of bubbly flows and that of acoustic wave propagation through suspensions, the extension of Darcy’s law for the flow of non-Newtonian fluids in porous media, and the behavior of bubbles in an electric field.